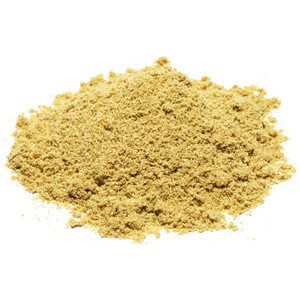 Ground fennel, a spice from the seeds of fennel plants, is slightly sweet and tastes somewhere between anise/licorice and cumin. Fennel seeds are used across a wide swathe of cuisines. Italians use it to spice sausages and sauces, the French enjoy it on fish, Indians use it in dishes and as a breath freshener, and it's also used in salads, breads, and more. Ground fennel is especially good on pork. Fennel is a good source of Vitamin C and aids digestion. Fennel is an ingredient more commonly used in restaurants than at home, but its versatility makes it worthy of a spot in every home cook's kitchen.